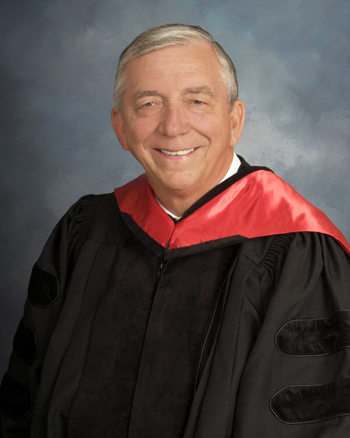 Dr. Tom Walker, Th.B; M.A. ; D.D. Due to the leadership of the Holy Spirit of God and the need in our area for a night school to train people for the Gospel ministry and Christian education, we have opened Foothills Baptist Bible College in Marion, NC. The classes will be held on the Zion Hill Baptist Church property on Tuesday evenings from 6:30 until 9:10 P.M.
Foothills Baptist Bible College strives to offer educational opportunities to Christians who are unable to attend traditional colleges. At FBBC, you can get the training you desire and live where you are living and go to church where you are going. Cost will be kept at a minimal in comparison to many traditional Christian colleges. Foothills Baptist Bible College is incorporated as a non-profit organization and all contributions given will be tax deductible. Our school looks forward to serving you as you serve our blessed and wonderful Lord. Classes meet on Tuesday nights from 6:30 PM until 9:05 PM. You can find out more information on what classes will be available by going to the College Information Tab and if interested in correspondence, you can go to the Correspondence Tab. On the correspondence page you can find out the courses that are available through correspondence method of studies. We are to: "Study to show ourselves approved unto God, a workman that needth not to be ashamed, "rightly dividing" the word of truth" (2 Tim. 2:15). "Rightly divide" comes from the Greek word "orthotomounta" which means "to cut straight or expound correctly." Our school will give you the opportunity to learn to do so and to apply yourself so you can better yourself for the Lord Jesus Christ and his work. Degree programs of study offered by Foothills Baptist Bible College have been found exempt from the requirement of licensure by the University of North Carolina under provisions of North Carolina General Statutes Section (G.S.) §116-15(d) for exemption from licensure with respect to religious education. Exemption from licensure is not based upon any assessment of program quality under established licensing standards. always be credible and of high quality. Foothills Baptist Bible College is approved by Internal Revenue service under section 501 (c) (3) to receive tax deductible contributions under sections 2055, 2106 or 2522 of the Internal Revenue Code. Any gifts you give to our institution will help us keep down the tuition costs for our students and you will be given a receipt to use for tax deduction purposes. If your church can support the school to the extent you do your individual missionaries, for a set amount each month, it will be helpful in assisting us to operate the school and provide a quality Bible centered education for our students. You can also sponsor a student for a quarter (13 weeks) as a missions project for your church as some have already done. If you need any more information just give us a phone call at 828-738-0992. We accepted Visa, Mastercard, Discover or American Express for donations. work on your cell phone but it will on a Desktop PC or a Laptop.